Box trucks come in all shapes and sizes and regardless if yours is meant to easily commute into and out of big cities or is meant for the open road, you need a box truck insurance policy in Texas that is right for your vehicle. Liability Insurance: Required to operate your vehicle on the roadway. This coverage gives you liability protection to others in the even you’re found at fault for an accident. Physical Damage Coverage: This coverage protects your vehicle if it is damaged in a covered loss. Additional coverage is available for for-hire truckers. Non-Trucking Liability Insurance: Insurance protection for your vehicle when you’re not working. Whatever your box truck insurance needs are, trust AJ Morales Insurance Agency in Houston to find you a commercial auto insurance policy that is right for you. 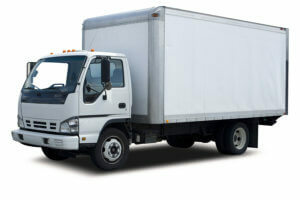 Call today for a box truck insurance quote in Texas.